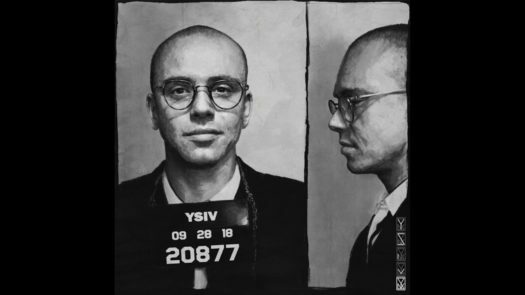 Well-known rapper Logic, who describes himself as a “scrappy underdog with go-getter ambition and complex bars” has released an album labeled YSIV. YSIV was released September 28, 2018, his fourth studio album. YSIV isn’t just random letters put together; it has a meaning: Young Sinatra IV. Legacy is labeled 12th in the album. It explains a majority of the problems he has to go through and his hard work. Logic claims his addiction toward cigarettes and how he attempts to fight against “cancer spreading through my (his) lungs.” His lyrics don’t jump out and tell you exactly what they’re supposed to mean. They’re deep and each line has a meaning to it. “I sacrificed my life for 100s, 50s, 20s, 10s, and 1s.” He struggles through financial tendencies. He makes great sacrifices to get where he is and has come through some of the greatest obstacles to be him. Nothing will stand in his way. Any situation he is put through, he fights and doesn’t let anything drag him down. Logic gave a few shoutouts on YSIV. Mac Miller who died one day before he released the album, TV star Patrick Swayze, actor on Dirty Dancing. He uses many metaphors that I even didn’t catch. He references through homophones and other ways. He has a great way of exaggerating a play on words. This album could teach teens great lessons on what to avoid and getting an early start on treating themselves correctly. Though the songs may have some catchy tunes, it’s difficult to catch his lyrics and which ones are going to have to be careful.